Brides may command the lion’s share of the attention – of the designers, make-up artists, hair stylists and pampering at weddings, but a groom and his groomsmen have no excuse to be slackers! It’s not all about vanity either. 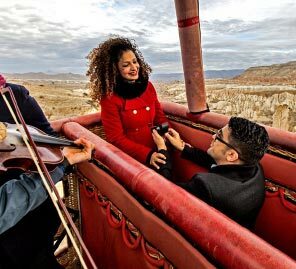 High definition wedding videos and professional photography capture every little detail for posterity. Poised, primped and beautifully put together, brides prepare for the scrutiny – so the ‘dulha’, no less a star at his own wedding, should ideally complement his perfect bride. And that’s exactly what WeddingSutra had in mind for this groom and his groomsmen at an exclusive editorial shoot at The Renaissance Mumbai Convention Centre Hotel, Powai. Styling, makeovers and a chance to showcase the top looks of this wedding season by Anita Dongre, we also invited the bride-to-be to give the day ‘real wedding’ vibe. The day began with some luxe pampering at the hotel’s decadent suite where the groom and his guys received some expert hair styling and skincare tips from grooming experts. Then it was time to try on some trendy ensembles courtesy Anita Dongre. The gentlemen went ethnic – different silhouettes in shades of grey and black for the groomsmen; slate bandhgalas, Nehru jackets and long kurtas with churidaars. 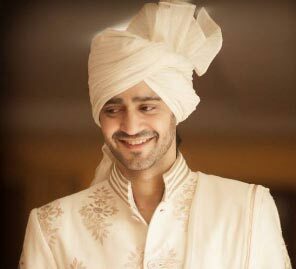 The groom himself looked regal in an ink blue sherwani with a pearl churidaar. Dapper pocket squares from Anita Dongre and SS Homme added a certain je ne sais quoi to the looks. With classic shoes from Trumpet and Ruosh and platinum bracelets from Gehna Jewellers, the team was ready to ace the wedding shoot. Taking a cue from her Prince Charming in grey and blue, the bride donned a stunning Anita Dongre lehenga in powder blue with hints of mint and peach in signature gota patti work. 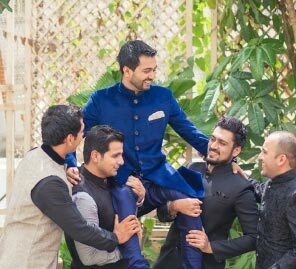 The good natured ribbing, bonhomie and camaraderie between the boys was captured brilliantly by photographer Arjun Menon as they posed alone and with the bride at the hotel’s Italian restaurant, Fratelli Fresh. The entire troupe looked great but it was hard to keep these young, adventurous and stylish people away from the Volkswagen Beetle parked in the hotel driveway. An iconic automobile with a reputation for being quirky, fun and the epitome of cool, the Beetle seemed to represent these gorgeous young people, all formally turned out for their wedding shoot, at the start of their journeys and adventures in life. Brave and hopeful and beautiful, ready to make a lifetime of new memories, we bid this bunch a Beetle bon voyage!